I wrote that in highsec you must tank to enjoy the protection of Concord. Today we’ll see why it is a bad design. EVE is (supposed to be) a PvP game. Yet, in highsec where the new players without outside connection start their life is punishing PvP. No, I don’t mean you’ll be Concorded for ganking. I mean that you are punished for trying to defend yourself. Every damage, damage projection or EWAR (except ECM) mod you put on your ship decreases your chance to win an encounter. If you did 99% damage to the enemy and Concord did just 1%, you did nothing, as Concord would have killed it in the exact same moment anyway. Your combat mods just wasted slots, PG and CPU for more useful modules, namely tanking. The optimal way of winning against a ganker is having just a whoring mod and max tank. This teaches new players against proper PvP fitting. In other words, Highsec is fundamentally different from all other zones and mastering Highsec mechanics gives you no help in other zones. 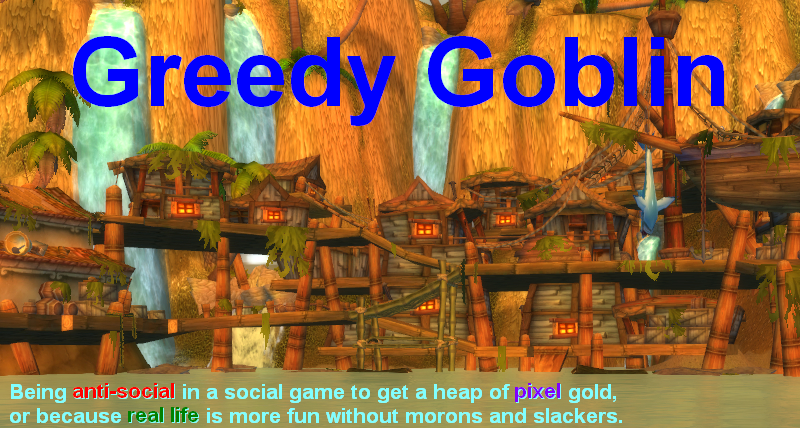 It’s a common problem in MMOs: the leveling game is very different from the endgame. The necessity of some Highsec anti-aggression mechanic is obvious: a new player (without external help) would be completely devastated without it. However this mechanic should help him defend himself instead of simply doing it for him, without his contribution. Teach them to fish instead of giving them fish! Also, the rigid barrier between lowsec and highsec should be changed. A 0.5 system is more similar to a 1.0 than to a 0.4 and this shouldn’t stay. If you attack someone without kill right, wardec, awox or him being criminal/suspect, you get GCC (currently in lowsec you only get suspect) the length of GCC varies with sec status, 2.5 mins for every 0.1 (so 2:30 in 0.1, 5 mins in 0.2 … 25 in 1.0). The Concord beam places a beacon on you that anyone can warp to. The name of the beacon contains the name of the hull you are flying, for example “Criminal Catalyst”. There is a new interface element that informs you about crimes in the region you are in, so anti-criminals can quickly take gates to arrive to a crime location. The only difference between highsec and lowsec is that you can’t cyno in 0.5 and above. This new Concord mechanic wouldn’t kill an unlawful attacker but would make him significantly weaker, allowing the attacked party and whoever in system to fight against him when normally wouldn’t have a chance. This new mechanic would encourage players to defend themselves and each other. Having a group would be beneficial instead of just increased risk due to corp thefts, awoxes and wardecs. PvE ops would require support combat ships. This way a new player would learn to fight for himself and would be able to move lower and lower security systems as his abilities grow. Can Phoenix dreads get “rapid” anti-battleship missiles? The moron of the day is without doubt Hitamino. He is a kind of white knight. I wrote "kind of" because he is way worse than ordinary white knights and his activity is mostly restricted to trolling. In this picture you can see him celebrating that the WGBWC member "ragelogged". 15 mins later, when GCC was up, his rage must have subsided because he relogged and finished the gank. 3 Mackinaws, an Orca and an Obelisk are mining in a belt. Bad gankers come, a Mack dies. Pod lives because mistakes were made. 2 Mackinaws, a pod, an Orca and an Obelisk are mining in a belt. Bad ganker comes, 1B pod dies. 2 Mackinaws, an Orca and an Obelisk are mining in a belt. Bad gankers come, a Mack and a 1B pod dies. A Mackinaw, an Orca and an Obelisk are mining in a belt. Bad gankers come, a Mack and a 2.3B pod dies. An Orca and an Obelisk are still mining in a belt unless Team Security had time to process my report. Wait, there are more anti-tears, this time in pastebin, local chat. Nice isk efficiency on your killboard compared to 'real' pvp killboards. The Problem with the beam is: Aggression in 0,1 System still imparts a 9% penalty. That means lowsec PvP (Yes, even "fair" fights, please no discussion if thats real or not) will cease to exist. If one gets an at least 9% penalty, only ganks will happen. No POCOs will be shot, as 9% less damage means this painful work will take even longer. FW will be even more full of farmers as no one will stop them in their stabbed (and now highly resistant) Frigs. I am a lowsec resident by heart, not for only PvP but for everything from mining to PI as well. But I would really miss some PvP on the side. Tl:Dr: No, thanks. No Concord Beam please, at least not this version. PS: The non warp and beacon thing is great, maybe without the penalty under 0.5 but harsher in 0.5 and above? @Karak Bol: you can wardec them. Or you can duel them. He doesn't wan to fight you? Maybe then the fight wasn't fair! At the most basic level, I disagree that this kind of change is necessary. You claim that hisec "teaches new players against proper PvP fitting", but you're focusing solely on ganking rather than all the other PvP that takes place in hisec, whether in the form of duels, corp tournaments, corp warfare, RvB, suspect baiting etc. In all of those cases, combat is not a gank and encourages players to use "normal" PvP fittings. Further, ganking is a very small niche in hisec PvP and one that mainly affects mining barges and exhumers, freighter pilots and blinged mission/incursion pilots. New players aren't going to be found in exhumers, freighters or multi-billion-ISK BSes, and new players who are actually interested in PvP are unlikely to find themselves in mining barges, or at least not in mining barges while they learn how to fit for PvP. Ganking simply is not a concern for most new players and doesn’t affect how they fit their ships; if nothing else this can be demonstrated from the fact that most miners you encounter in hisec are in untanked macks and retrievers. It’s also worth noting that while “ganking” in the specific sense of “must kill target within x seconds before CONCORD responds” doesn’t happen outside of hisec, strikes by high DPS, low ehp ships certainly do exist in other regions of the game and “have enough tank to survive until help arrives” is a valid tactic, providing that a player knows that help has to come from allies rather than NPCs outside of hisec. All that aside, your suggested alternative isn’t going to work to promote PvE fitting rather than buffer, due to the nature of the PvP you’re trying to affect. Gankers choose their targets specifically for their ability to kill them; change the variables involved (such as adding in a 45-90% reduction in DPS in hisec after the first volley) then gankers will change tactics to deal with it (using higher volley damage ships like Tornados to kill with that initial volley) and buffer fitting will still be a necessity to survive the initial attack. In this sense it’s a huge empowerment for gankers, as if their targets fit modules to counter an extended fight then their lower buffer makes them more vulnerable to alpha volleys, while if they fit for buffer to survive the alpha strike they’ll be whittled down by the reduced DPS that follows. On the other hand, if you want to assume that gankers are interested in getting a fight from their targets, rather than a guaranteed kill (which they aren’t, but anyway…) it shifts balance too far the other way, again without making buffer tanking nonviable. To illustrate, if a ganker chose to keep flying high DPS catalyst fits they’d find that with the CONCORD Beam’s reduction to their DPS after the initial volley and their resistances they’re actually surprisingly vulnerable to buffer-tanking mining barge drones. (Math: In 0.5 sec the penalties to resists and DPS would be 45%, this leaves a max skill catalyst with 3360 EHP vs thermal damage and after the 1st volley will be dealing about 416 DPS. A max-yield mackinaw can easily reach 21.5k tank vs Void with an omni setup, or 23.8k with a kin/therm specific tank, while a flight of Hobgoblin IIs deal a maximum of 99 DPS. Even rounding that down to 75 DPS for imperfect skills it will only take 45 seconds for the Mack to kill the Catalyst, during which time the Cata will only have dealt 18.7k damage. In higher sec levels the Catalyst dies faster and deals less damage). At the same time, there’s also the question of “Why would players respond to criminals in this system?” which you leave unanswered; there’s no incentive for players to respond to someone going GCC unless they’re attacking themselves or a friend. Possibly you’d see bounty hunters reacting in the hope that the criminal had a bounty on them, and you’d see anti-criminals in play in busy systems where there would frequently be criminals to shoot, but this change would make no difference for players in less-populated systems or ones that rarely see criminal activity. If I’m mining in one system and I get a message that says that 2 jumps away a Catalyst has gone GCC, why would I dock up my mining ship, pick up a combat one and fly over? Then there are the unintended consequences of this system; you would massively empower groups like the CFC in general and Miniluv in particular in their ability to screw around in hisec. Imagine the effects of a 100 Tornado blockade of a major trade lane system like Niarja; a 0.5 sec system, meaning they’d have effective volley of 55 tornados and able to sit on a gate and blap anything that shows up because there’s no enforced ship loss. The only counter would be a large, organised white knight fleet, but the advantage is always going to side with nullsec coalitions for escalating in size and organisation. Even better, imagine the CFC fielding a permanent/regular 500 Tornado camp of the Jita undock – “only” dealing the equivalent of 50 Tornados damage per volley, but still able to kill any outgoing freighter easily. And of course they could always relocate that fleet to the next hub when people abandon Jita, then the hub after that etc. This kind of problem will always show up in a game like EVE if the mechanics do not outright shut down hisec criminals, because any % or numerical reduction can be overcome with large enough numbers. Outside of hisec, since you want to apply this to lowsec, you should also bear in mind that you would utterly ruin lowsec for its current inhabitants. The inability to warp or use gates for the duration of GCC would destroy any sort of roaming PvP, not to mention baiting or ambushing targets across multiple systems. Likewise, the penalties to both attack and defense for flying aggressively would be detrimental to many residents, as they’re living in lowsec specifically because they enjoy an aggressive playstyle, while the system-wide warpable beacon would eliminate lone wolf play as any solo player gaining such a beacon would be an immediate target for every other PvPer in the system. I have to admit I’ve never been a lowsec resident, so I’m sure there are plenty of other affects this would have that I’ve missed; these were just the immediately obvious ones to me. What prevents you from killing someone then cloaking until the timer ends? Any system you think of that gives an out, someone will figure out a way to exploit it. At least with the present system, ganking in Hi-Sec has a real cost. You lose your ship. I promise you that under your system that cost will be greatly reduced. Which may be your point since you are of course a ganker. @Hivemind: that 500 tornado camp would kill exactly 1 Freighter. Then they'd sit at the Jita undock for 22.5 mins unable to warp, dock, no resists and anyone can shoot them. How many T1 frigs they can't track would undock and massacre them? This is the point: let players massacre criminals, not NPCs. 100 tornado's will instapop any frigate. Tracking is not an issue if your fleet is big enough, it's impossible to keep transversal up against multiple ships. Or assign another 50 players in ships to kill the frigates? Unable to warp away from Jita undock? Just keep shooting whatever undocks. "that 500 tornado camp would kill exactly 1 Freighter." No, because under 90% DPS reduction they'd still have the equivalent of 50 tornados worth of volley. That's rather more than 600k damage per volley; for contrast an Obelisk Freighter has a little over 200k EHP while an Anshar Jump Freighter has 364k. "How many T1 frigs they can't track would undock and massacre them"
This is easily solved by spreading out your tornado fleet - station them all off the undock in different directions and it becomes very difficult if not impossible for a frigate to maintain transversal against everything in the fleet. A single ship can only move in one direction at a time, if it's surrounded to such an extent that it is always moving either directly towards or away from at least some fleet components then it's easy to shoot. Or you could use a few extra players in fast-locking and potentially disposable ships like frigates or destroyers to tackle and web those t1 frigates (support them with non-criminal orcas to dispense replacement ships if they get blown up). Throw in logistics to repair the buffer-fit tornados (the same volley boat mentioned above has 12.2k raw Shield HP) so they can't be slowly plinked to death (yes the logi would get GCC too, but they can rep each other) and you've still got a massive self-sustaining hellcamp going on in hisec trade hubs. It's even easier to do the same in 0.5 security empire border systems along trade lanes - you need less than 100 tornados to achieve the same volley damage and the utility of tackle frigates and logistics remains the same. "This is the point: let players massacre criminals, not NPCs." Yes, and my point remains that this system would mainly let criminals massacre players, not vice-versa. You way overestimate Goons and criminals in general. Where are that magical "500 men Tornado fleets" in nullsec now? If Goons can't hellcamp TEST with 500 tornados, how could they do it in Jita? Also, Goons have enemies, like NC. PL, N2. Don't you think they'd grab the opportunity of slaughtering 500 pointed, no resist, 10% DPS Tornadoes? "You way overestimate Goons and criminals in general." Really? Any idea how many Goon/CFC pilots participated in Burn Jita 1 & 2? I'd be willing to bet it was at least in the triple digits. I'd imagine that changing the mechanics from "Shoot one thing and then wait 15-150 minutes for GCC to run out" to "shoot everything that moves for as long as you feel like" would also attract more interest from the CFC membership. "Where are that magical "500 men Tornado fleets" in nullsec now?" There aren't a lot of situations in null that call for those numbers, at least not on a day-to-day basis. That said, bear in mind that a few months ago the CFC was on one side of a 4,000 player nullsec battle. To quote from the CFC battle report, "Before a single broadcast had gone out, 2300 people sat ready in 4-EP". When they need to, or when they feel like it, fielding a group of 500+ players really is not a big deal for an organisation the size of the CFC. "If Goons can't hellcamp TEST with 500 tornados, how could they do it in Jita?" There's a difference between "can't" and "won't". The CFC didn't use 500 Tornados to hellcamp TEST because they don't need to; it's a massive amount of overkill compared to what they'd be shooting. A hellcamp against a nullsec alliance is also boring, because alliances are good at passing messages like "Do not undock from X, you will die" to their members. That wouldn't be a problem in hisec, especially in a trade hub, as there it lacks channels to spread that message; without CONCORD ship loss, hellcamping Jita would be pretty close to one kill per cycle, instead of several hours of staring at an empty overview hoping a pilot gets brave or stupid enough to undock. Lastly the risk in nullsec is a lot higher than in hisec, because you can't drop in a covert ops ship with a cyno, warp on top of the Nado fleet, light it and bridge through a fleet of interdictors to bubble the whole fleet plus combat ships to kill them. "Don't you think they'd grab the opportunity of slaughtering 500 pointed, no resist, 10% DPS Tornadoes?" Nullsec alliances don't generally have combat fleets fitted out and ready to fly stationed in hisec; they'd need to spend a significant amount of time travelling from nullsec staging grounds and through hisec, during which the gankers could potentially react (let timers expire so they can dock/warp, for example); this, plus the fact that it's utterly irrelevant to their sov, would be a turn-off for their pilots. Finally, if they tried to do such a thing they'd run into problems actually getting into the trade hub; between the CFC gank team, the regular traffic that they're preying on and players coming to see what all the excitement is, Jita will be at population cap, making it difficult to slip in a combat fleet that can take on 50 tornados. To put it another way, null alliances hostile to the CFC knew there would be lots of -5.0 security CFC targets in Jita plus GCC ships they could KM-whore on, yet neither Burn Jita provoked this kind of response from hostile nullsec powers. Incidentally, I notice you've been focused specifically on the threat of coalitions abusing your mechanics to wreak havoc on hisec and ignoring all the other criticisms. Mainly you're ignoring that it would probably change gankers' behaviour to focus on the initial volley they'd get off without penalties and attack targets that they could definitely kill with it, which does nothing to encourage combat setups over buffer.